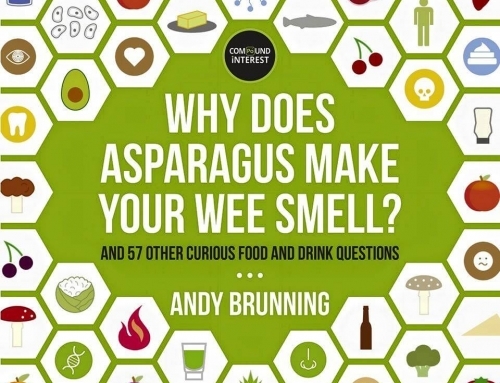 “Why Does Asparagus Make Your Wee Smell?”: Now Available in Paperback, and in French! 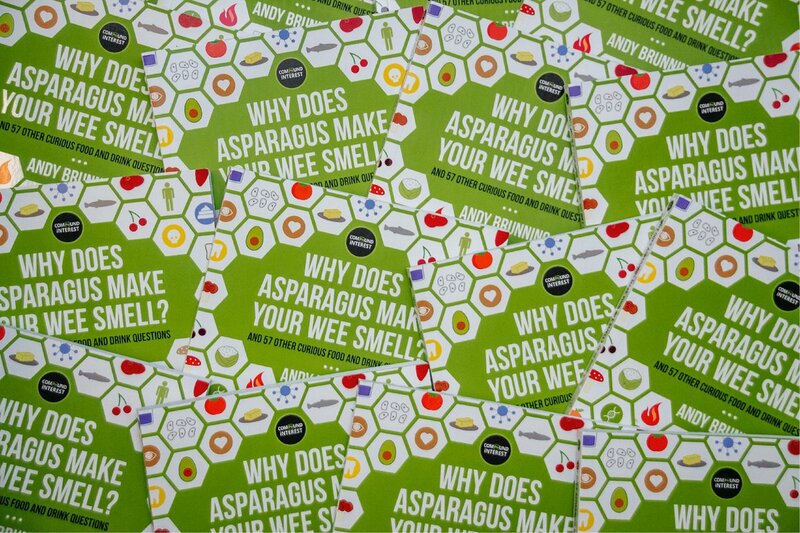 The Christmas holidays are approaching, and with eerily good timing, “Why Does Asparagus Make Your Wee Smell?” is now out in paperback in the UK! 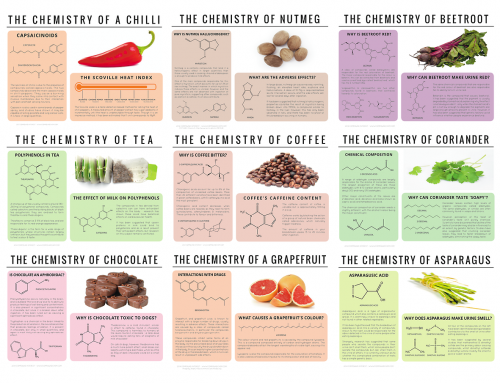 And even if you don’t celebrate Christmas, it still makes a for a pretty good impromptu present for any food-obsessed family members, or even just for yourself. 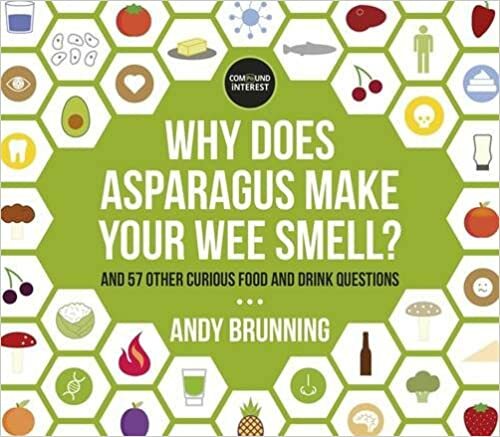 It’s got something for everyone; whether you want to know why some people hate Brussels sprouts, how to stop avocados turning brown, or if carrots can really help you see in the dark, you can grab a copy here. 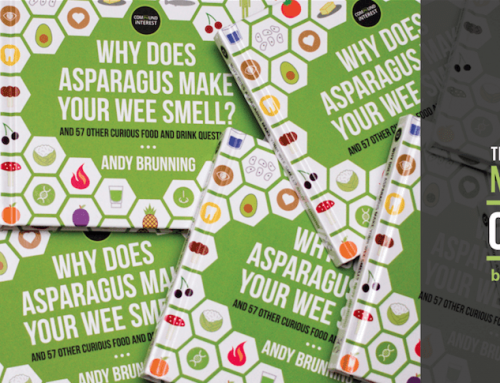 In addition to that the book’s now available in French too! It also has a lovely forward contributed by professor and chef Philippe Ligron (that’s him brandishing a fork on the cover). 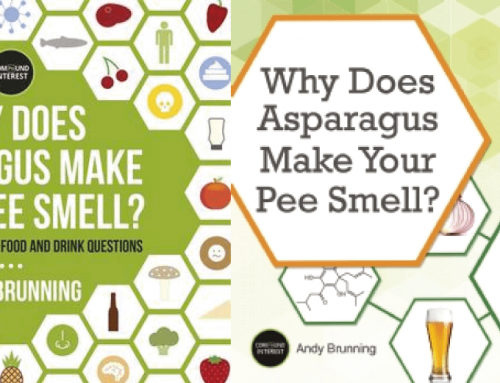 To grab a copy, head to the French publisher’s site here. You can keep up with other editions and planned translations over on the site’s dedicated page for book-related things.